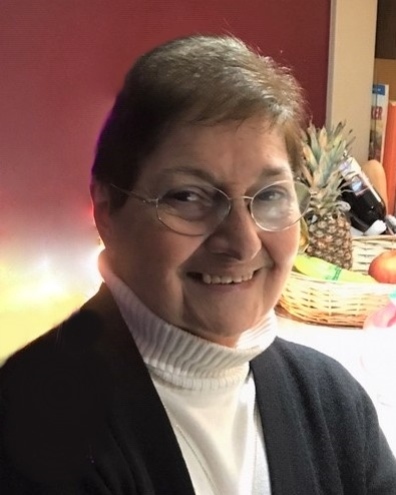 Judith M. (Di Mauro) Grande, 74, of Salem, NH, died Thursday, March 21, 2019 surrounded by her loving family at High Pointe House in Haverhill, MA. Judith was born in Lawrence, MA on May 2, 1944 to the late Salvatore and Guicetta (Larco) Di Mauro. She attended local schools and was a graduate of Tenney High School in Methuen. Judith worked as bookkeeper in the family business, The Red Barn, originally starting in Methuen and eventually moving to Salem NH. She worked alongside her husband, Vincenzo, who died in December of last year. She also worked at Macy's department store, as well as AVCO. Judith loved to cook, knit, crochet, but most importantly, spend time with her family. The widow of the late Vincenzo Grande, she is survived by her two sons, Vinny J. Grande, Jr. and his fiancé, Kelly Merrick, of Salem, NH and Steven S. Grande and his wife, Kimberly, of Katy TX. Also among her survivors are her brother, Louis DiMauro and his wife, Donna, of Salem, NH; brother-in-law, Frank Grande and his wife, Anna, of Methuen; and her cherished grandchildren, Maxx and Olivia Grande; as well as several nieces, nephews, great-nieces and great-nephews. Family and friends may call on Thursday, March 28, 2019 from 4:00-8:00 PM at Cataudella Funeral Home, 126 Pleasant Valley Street in Methuen. A funeral service will be held on Friday, March 29, 2019 at 11:00 AM in the funeral home chapel. Burial will follow in Pine Grove Cemetery in Salem, NH. Memorial contributions in Judith's name may be made to St. Jude Children's Hospital, 262 Danny Thomas Place, Memphis, TN 38105 or by visiting stjude.org, or to MPN Research Foundation, 180 North Michigan Avenue, Suite 1870, Chicago, IL 60601 or by visiting mpnresearchfoundation.org.